Sheet masks are so much fun to use, I do prefer them to mud masks. One of my favourite is Black Pearl Mask by My Beauty Diary (www.beautydiary.com.tw). My Beauty Diary is a brand from Taiwan, it is very famous is Asia and America. 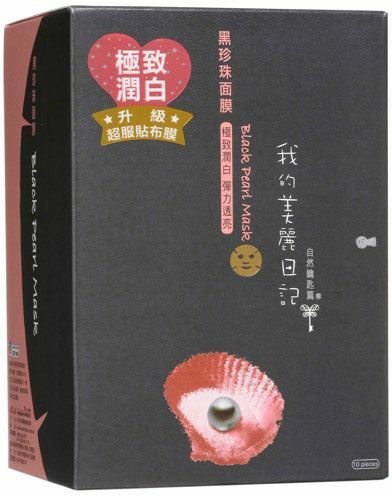 They have a wide variety of different sheet masks suitable for different skin types and needs. 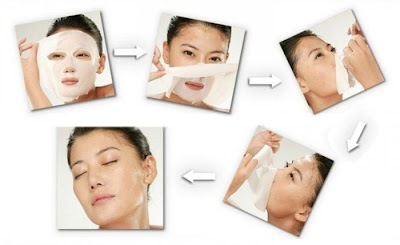 Sheet masks are literally a sheet or cloth masks soaked in conditioning essence/serum. It is part of My Beauty Diary Natural Key Line and suitable for all skin types, helps to restore skins resilience and radiance and also softens and whitens the skin. By whiten it does not mean that my skin becomes even more pale :) it just means that it does its best to even out and brighten the skin. 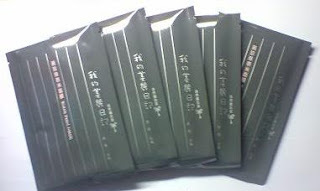 Black Pearl Masks are individually wrapped. You take it out from the packaging, gently unfold then apply the mask to the face while carefully adjusting to your face shape, and that is all there is to it. I usually leave my mask on for 30min while I watch TV. When the time is up I take it off, binning the sheet. Leftover serum I massage into my face and neck and just leave it. In my opinion definitely worth the hype, what do you say?